I’ve been waiting for the outrage. The WTFs? The ‘latest Bernie Ecclestone brain snap’ headlines. I’m sorry, what? In the words of John McEnroe, and in equally apoplectic tones, you can naaaaart be serious. I know we’ve seen some big sports sponsorship mismatches in our time — cricket and Benson & Hedges, the Olympics and just about every junk food on the planet, rugby league’s flirtation with Tom Waterhouse, for starters. But when, in the 32 years since the introduction of random breath testing, did anyone think fast cars and hard liquor were a good mix? Apart from Bernie Ecclestone. On reading the fine print, though, my fears have been allayed. …well, I’ll let them tell you. Right. So they’re spending a fortune on this sponsorship (because with Bernie, nothing comes cheap) so you’ll drink less of their product. Won’t the shareholders be delighted? Methinks the spokesman has been sampling the merchandise. And has mistaken us for numpties. Meanwhile, Bernie has gushed: “It is a great example of how an alcohol brand can dedicate time and money to be a force for good.” Someone hand that man a light sabre and a wookie. Of course, alcohol sponsorship of sport is nothing new. 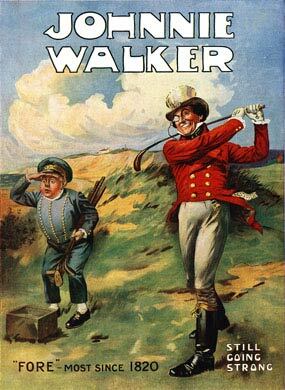 Johnnie Walker alone sponsors golf tournaments, the Ashes, the New York Yankees, the list goes on. Nor is the brand a newbie to the world of motorsport, with a member of the Walker clan starting his own Formula One racing team in the 1950s and Johnnie Walker sponsoring the McLaren Mercedes team in recent years. Interestingly though, Diageo’s primary competitor Pernod Ricard takes a very different approach. “We at Pernod Ricard firmly believe that it is inappropriate for the distilled spirits industry to engage in sponsorship of motor sports,” declared the company’s US president Alain Barbet back in 2006. The company restricts its sponsorship of Formula One to the Mumm champagne the winners spray all over each other on the podium before guzzling from the bottle. But hey, at least it’s got an alcohol content under 40 per cent. Now, if you don’t know me, you may form the impression that I’m a teetotaler. If you do know me, you’ll be rolling around the floor in convulsions at this suggestion. No, indeed, I do enjoy the odd tipple. Actually, I feel like one now. Maybe a drop of Johnnie Walker. No association whatsoever between both you and I craving JW now!